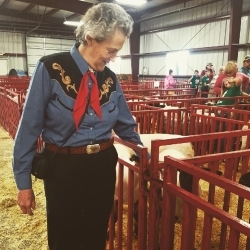 Providence, RI, September 28, 2018 — Come spend an evening with Dr. Temple Grandin, professor of animal science at Colorado State University, consultant to the livestock industry on animal behavior, and autism spokesperson. She is one of the first individuals on the autism spectrum to publicly share insights from her personal experience of autism, it’s connections with different types of minds and its relation to animals. Dr. Grandin will discuss autism, its advantages in working with animals and the different kinds of minds it takes to work well together. Whether you are a member of the autism community or the livestock arena, you will find this talk informative and unforgettable.